The plaintiffs and respondents in the case against former UNP General Secretary Tissa Attanayake over fabricated documents have informed the Colombo High Court that they are willing to arrive at an amicable settlement. The Attorney General had filed the case against the former UNP General Secretary of UNP, under the International Convention on Civil and Political Rights for disrupting the amity between nations by allegedly producing a fabricated document which claims that a secret agreement exists between the UNP and the Tamil National Alliance at a press conference held in Colombo during the previous Presidential Election. The case was taken up before the Colombo High Court Judge Wikum Kaluarachchi today (25). 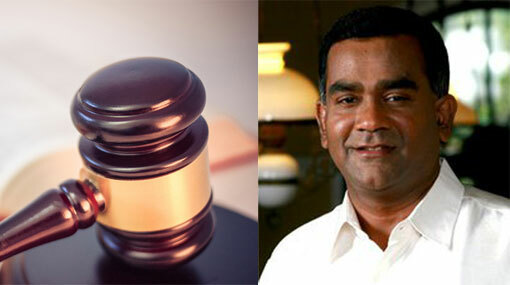 Representing Tissa Attanayake, President’s Counsel Kalinga Indatissa informed the court that the defence has already discussed with the plaintiffs on reaching a settlement. He, then, sought the HC judge to set a date to present submissions on the progress of discussions on settling the case. President’s Counsel Nissanka Nanayakkara and Attorney Lakshmi Jayawicrkeme, representing the first witness Prime Minister Ranil Wickremesinghe and second witness President Maithripala Sirisena, respectively, also have informed the court on the ongoing discussions regarding the settlement. Accordingly, the Colombo HC judge has ordered to take up the case again on April 4th and called for a report on the progress of settling the case. The Colombo HC had issued summons on PM Wickremesinghe and President Sirisena had been to appear before the court, however, they had failed to comply citing official reasons.